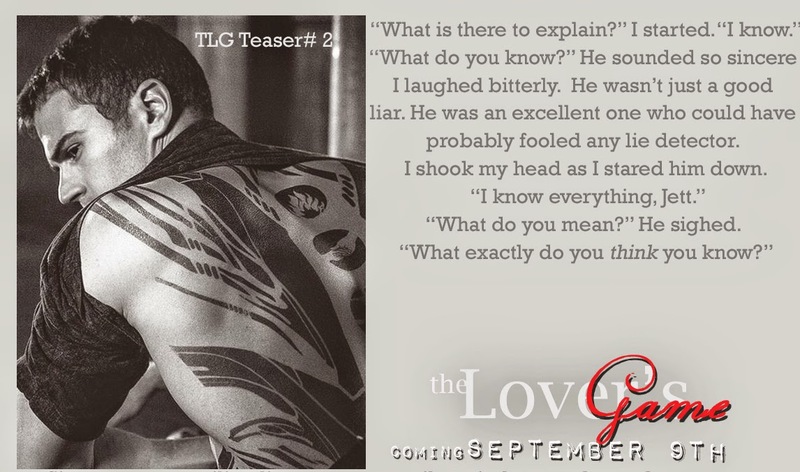 The Lover’s Game by J.C. Reed was another fantastic addition to the No Exceptions Series. This book picks up right where The Lover’s Secret left off, and I could not get enough of this book from the moment I picked it up! 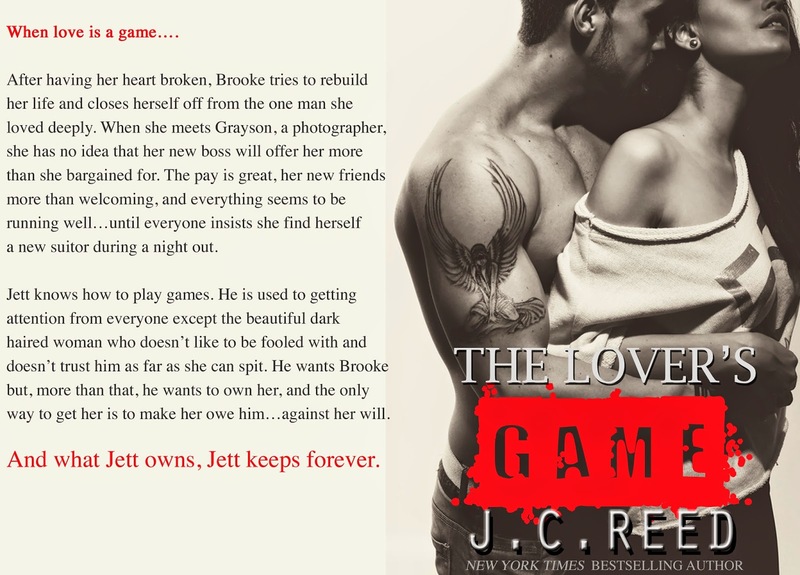 The events of this book added so much to Brooke and Jett’s story that I have come to love over the books in this series and the Surrender Series by J.C. Reed. 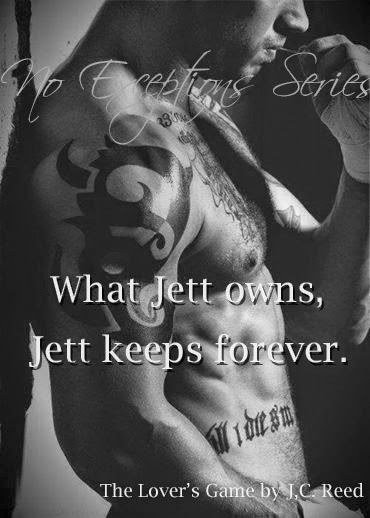 (The No Exceptions Series is a standalone series from the Surrender Series, but they do connect, so for the best reading experience I suggest reading all of the books!) The more I read this series, the more I get hooked in, and I am just dying to know what is going to happen next with these fantastic characters and their exciting story. Brooke’s pain and vulnerability. You can feel everything Brooke is feeling throughout the story, but you especially feel all the pain, emotion, and vulnerability she experiences with the events in this book. You feel this right from the beginning, and it makes you want to comfort her and just fight for her. You just want to make her better, and feeling all of this through Brooke’s perspective is very powerful. The determination and fight. Brooke is determined as hell in this book to make everything alright, even when she is in a true tailspin after what happened in The Lover’s Secret. I loved that Brooke was determined as hell to figure everything out and make it all work. She faces a crap ton, and through it all she is feisty. Even though this is probably the worst time in her life, she is fighting like hell, and I freaking loved that! The mystery. This book has many different mysteries weaving their way through the story. You’ve got everything that’s going on with Jett, then you’ve also got Brooke’s paranoia over the possibility of harm coming her way. There are just so many mysteries and questions you want to solve and answer. While reading this book you will be trying to put it all together, and that just made this book highly engaging. The female friendship. The interactions in this book between Brooke and her best friend Sylvie were just wonderful. These two are truly there for one another. In this book you also meet some new females who add another wonderful layer and connection with Brooke. Gina and Thalia are carefree and fun, and bring true liveliness to the story. The female friendship aspect of this book is wholly authentic, and you will feel the connections and friendships developing over the course of the story. The questions coming up. This book brings up a lot of questions that make you really think about the story you are reading. You will question Brooke’s actions and feelings, the other people and what they’re up to, and so many more things. These questions bring this story to life and it really makes you wonder how it’ll all come together. The darkness. I really liked that there is a lot of darkness that goes along with The Lover’s Game. That darkness comes out in so many varied and unique ways, and makes this books very different from other’s I’ve read. It made it stand out in such a good way. This darkness also made the story seem so much more real because of what that darkness was stirring up with Brooke and Jett and everyone else. The pacing. From the moment I began this series with The Lover’s Secret until the end of this book, I hit the ground running and have yet to stop. I absolutely love that. This book picks you up, and takes you on one hell of a ride. The events and characters of this book series come to life and I dare you to try and not be engaged as all get out reading this book. The writing. J.C. Reed’s books are written beautifully. The writing that is so thoughtfully crafted brings the story to life, and makes it very easy to slip into the world that’s created. It also makes it very easy to connect to the characters. It is just so easy to imagine and experience this story because of the writing. The twists. This book is full of some major twists and turns. I won’t reveal what those are, but just know that they will blow your mind. There were a few specific ones that had me SHOCKED. These twists and turns take the story on a path that I can’t wait to read more of, because I have to know where this path is heading. 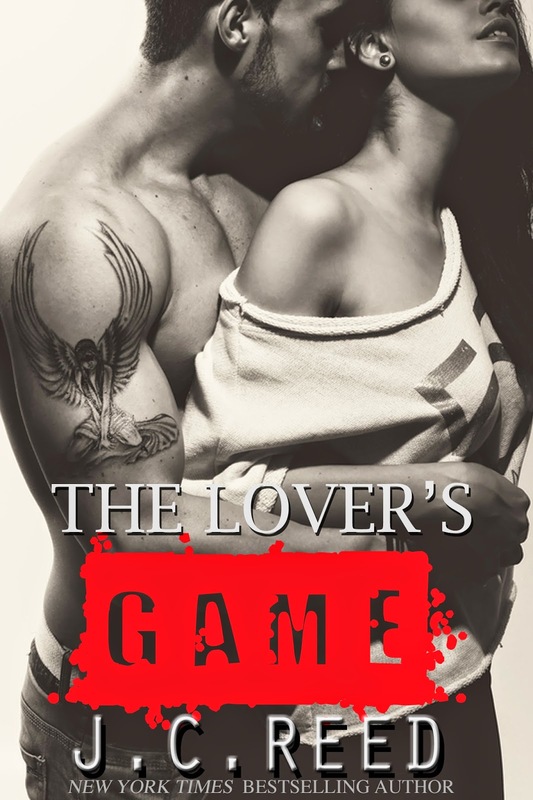 The Lover’s Game was another magnificent addition to the No Exceptions Series. The characters you’ve fallen in love with are back, and are thrown into some pretty interesting and memorable situations. This book just had me falling more and more in love with Brooke and Jett’s exciting story, and I cannot wait to see how it continues in the next book in the series. 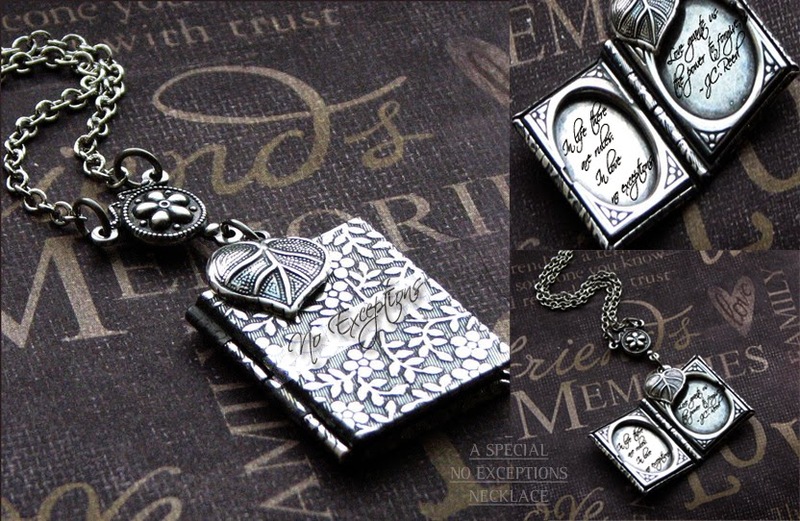 I’m sure that one will be another unforgettable story.